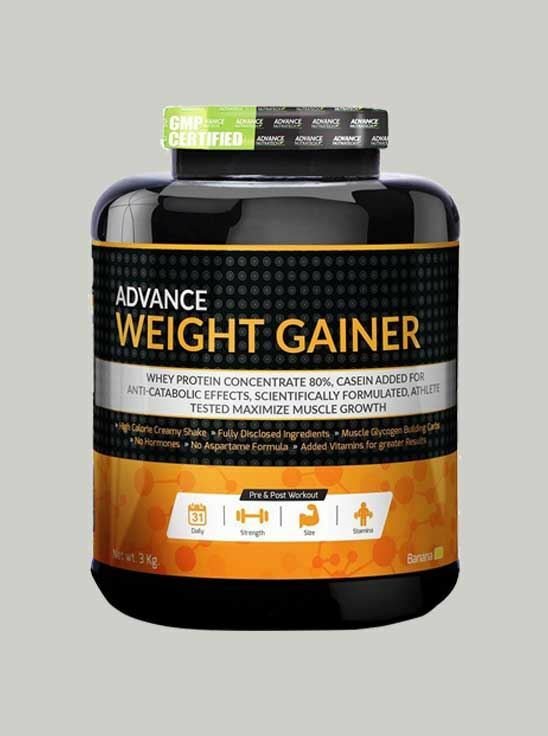 Advance Weight Gainer is an easy way of increasing calorie intake to build up muscles and gain weight. Advance Weight Gainer a protein supplement that is an easy way of increasing calorie intake to build up muscles and gain weight. This weight gainer is a balanced blend of proteins, carbs, fats, vitamins, and minerals. It helps you gain not only weight but also gives only healthy, calorie-rich diet as it contains much- needed blend of macronutrients. This weight gain supplement is GMP certified. It contains all the required nutrients that make up a calorie-rich diet that will help you in increasing your weight and is significantly lighter on your pocket.